What’s our secret? Good old fashioned experience. Rex Industries has over 70 years of history in steel fabricating services. We have created a wide range of components and sub-components for companies like Kennecott Copper (Rio Tinto) and Rocky Mountain Power Company. Our expert staff is experienced in MIG and TIG welding and produces a wide variety of steel, stainless steel, and aluminum weldments. Even your most challenging build-to-print or design-build project will be right at home with us. We have made significant investments in equipment over the years, which means we are equipped to handle anything you can throw at us. 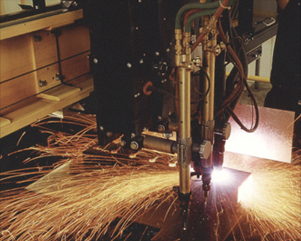 Our equipment includes high definition plasma cutters, computer controlled press brakes and rollers, and CNC turret punches.